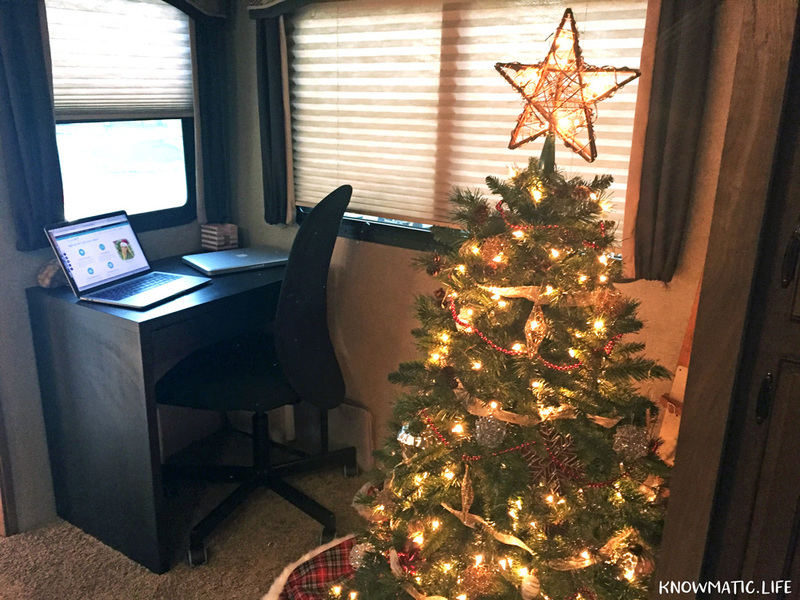 When selecting the RV one requirement was that there had to be room for a small desk to run my business from. A lot of the RVs today have free-standing dining sets so it was just matter of picking a model that offered that. I made a trip to IKEA with some measurements and picked out one of their smaller desks. I wanted there to be a drawer in the desk as well for added storage. The desk I ended up going with was the IKEA MICKE Desk for the low cost of $49.99. I picked up a chair while at IKEA too as using the dining one wouldn’t suffice for me. I looked for one without arms so that it was less bulky. I also wanted it to be comfortable as I spend quite a bit of time in it. I ended up purchasing the FLINTAN Swivel Chair for $79.99. The MICKE Desk is perfect for my RV. I removed the entire dining set from the RV put the new desk in its place. 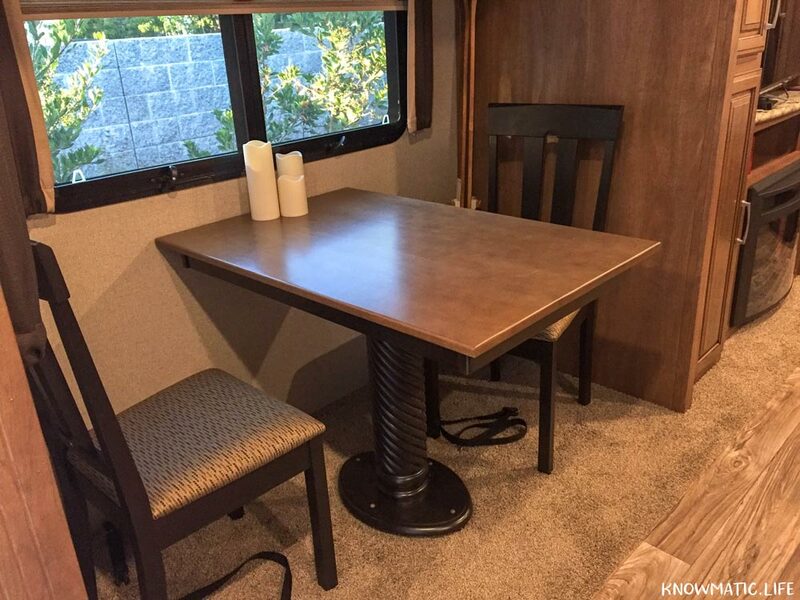 The desk takes up a lot less space than the dining set so the RV actually looks less crowded than before. Now there is enough room to set up a Christmas tree during the holiday season. When the RV is on the move, I just turn the chair onto its side so it doesn’t move around and the desk hasn’t budged at all. When the slides go in it’s pretty snug in there. 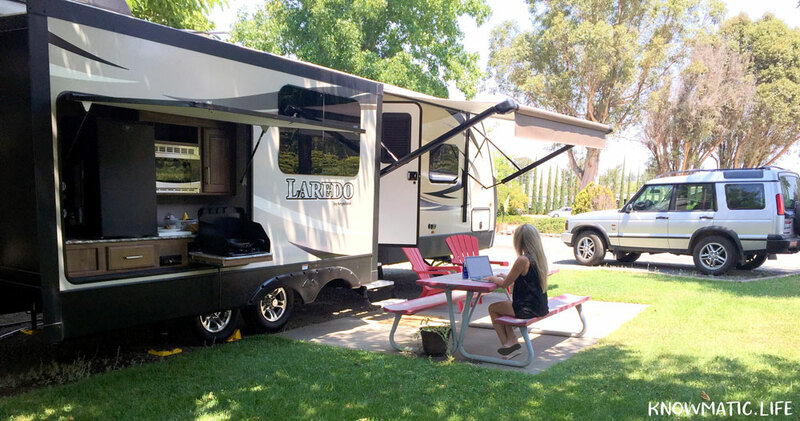 My office isn’t limited to my RV, I often sit outside and work too when the weather is nice. Do you work on the road? What is one item you couldn’t live without? I've been working virtually since 2010 and want to share my top tools with you.